DETAILS: Situated on Destin’s pristine white beaches, Villa Coyaba’s 2,200 square foot luxury condominiums offer guests a beach haven of rest and relaxation. Featuring 4 bedrooms and 3 bathrooms, this sophisticated second floor unit with updated furnishings comfortably accommodates 12 guests and features top of the line furnishings, a Gulf front balcony with an unbeatable view, fully equipped gourmet kitchen and complimentary beach chair service during season. Villa Coyaba is nestled on Scenic Highway 98 and provides guests the convenience of being a short drive away from all of the world-class shopping and dining Destin has to offer. Very nice condo, nicely decorated, with lots of space. Beautiful view and great beach. Liked that there are a small number of units, which keeps the beach less crowded, and the beach service guy was very nice & helpful. Convenient having a full size washer & dryer in the unit. Spacious balcony - would have been nice to have a ceiling fan. We had a couple of rain days so it was great to have the covered parking. We used the valet service through the app to order groceries & everything was purchased correctly & put away in the condo when we arrived. Put in a maintenance request to fix a sluggish drain and they sent someone right away. He was very nice & got the problem fixed quickly. Only complaint was the furniture around the pool - there were only loungers, no chairs, and they were very hard & uncomfortable (& difficult to move around). It’s nice to have a couple of tables with umbrellas & chairs if you just want to sit & have a drink by the pool. We had a great 2 weeks and will definitely stay here again! We are so glad that you enjoyed your stay with us in Destin at Villa Coyaba! We could not agree more that this condo is perfect for a great beach getaway, especially with the private beach pool right behind the building! We will be sure to share your feedback regarding the lounge furniture by the pool with the HOA for this building. Thank you for staying with 360 Blue, we look forward to seeing you again soon! We are so glad that you enjoyed your vacation with us in Destin! 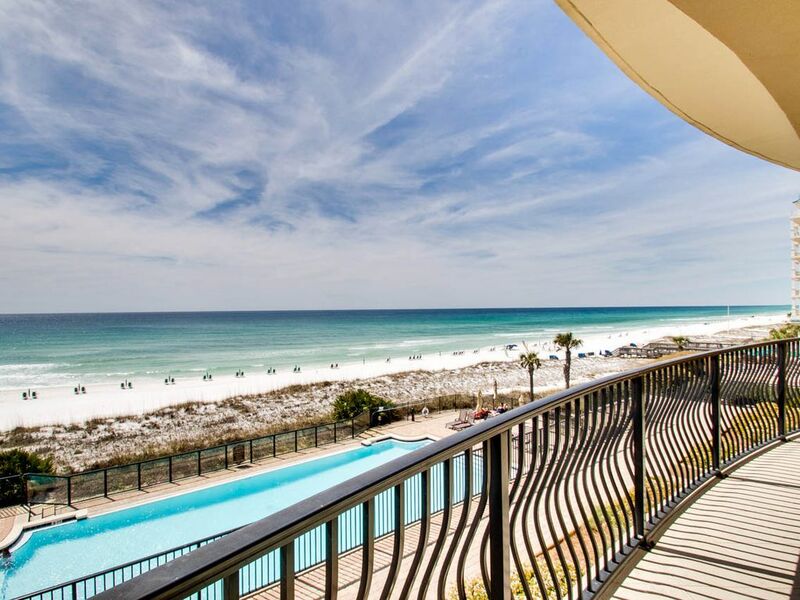 We agree that these condos are second to none and have some of the best amenities in Destin. Thank you for staying with 360 blue, we hope to see you again very soon! This was our first vacation in Destin and was truly fantastic. The condo we stayed in was perfect. The view of the ocean from our balcony was unbelievable. We loved the pool and the access to the beach. We will definitely be back. The gentleman who took care of the beach setups deserves recognition for his helpful and courteous interaction with the guests. I would like to recommend that the units have more than 2 dish towels for use. Again thank you for making our family vacation a huge success. We are so thrilled that you enjoyed your stay with us in Destin! We agree that the condos at Villa Coyaba are second to none and the view alone is reason enough to stay here! Thank you for staying with 360 Blue, we hope you are able to join us again soon! This is our fifth stay at Villa Coyaba, so guess we really like it. We enjoy being on the beach and near good food and shopping! Our unit was clean and with a well equipped kitchen. Only complaint would be the sofa in living room, something not right about it!!! Hope to be back next year! We are so delighted that you enjoyed your vacation with us in Destin! We agree that Villa Coyaba is second to none and is a wonderful option to be close to all the great amenities that Destin and Villa Coyaba have to offer! We will share your feedback with our team in regards to the sofa. We look forward to hosting you all again very soon! Our large family enjoyed a great time at the resort. Checkin was efficient with the entry code however we did not have access to the pool or beach as a separate code was needed. The public beach was a short walk to the west. After a few days one of the neighbors shared their beach code with us. Unit was clean neat and well equipped and would highly recommend this facility. We are very glad to hear how much you enjoyed Villa Coyaba for your family vacation! The photo you shared with us is a wonderful family photo! We apologize for the beach and pool code situation, however, that code should be in our Hospitality App. Should the code not be available in the App, our Ambassador department has access to that information and would have been happy to supply you with that. We hope you are able to join us in Destin again soon! I brought my daughters, their husbands and my grandchildren. After a few years of going to the beach, Villa Coyaba was our favorite! The beach access was so easy, beautiful view and wonderful beach staff. The balcony was perfect for eating, drinking coffee in the mornings and playing hearts! We are thrilled to hear that you enjoyed your stay in this amazing home! Villa Coyaba is truly the best of everything - pool, beach access, and perfect views. We hope have your back with us soon for your next beach getaway!